To learn about the world of oak, I drive to a town named Castell’Alfero on the outskirts of the north Italian city of Asti. Inside, Eugenio Gamba stands wearing a white t-shirt and a gray Nike sweatshirt. 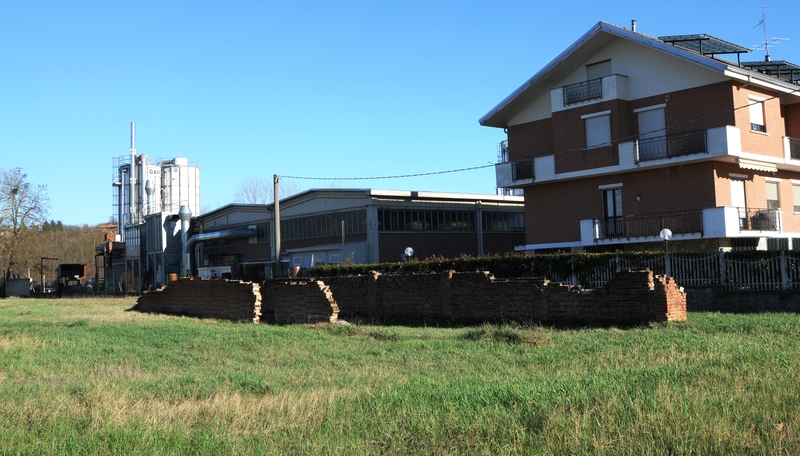 He has managed the family owned Botti Gamba factory (fabbrica) for 41 years and verges on retirement. Eugenio’s son Mauro enters the room. He gives a quick smile. He is in his mid-thirties. He wears brown loafers, jeans, a sweater and thin framed glasses. Together we sit at a glass table. While Mauro prepares espresso from the office machine, Eugenio leans over a map of France. He points to several forest reserves from where Gamba purchases oak via auctions. The Tronçais, a little sliver of land in the dead center of France, yields oak that is hundreds of years old. “Molto buono,” Eugenio emphasizes. Very good. He taps his finger on the Tronçais, and shakes his head in admiration. He repeats that it produces the best oak in Europe. “Here’s the Tronçais forest, the best area for wood. There is a law in France that says that they can only cut the logs after they are, I believe, 160 years old. The merrandier, the splitter – they spend six months a year in the forest. They know what kind of log is best, just as the winemaker knows if one vineyard is better than another one. “The wine business is bound to heaven. I mean, to the weather. One kilometer from here, on the right hand side of the road, there is our big yard with wood that is aging to make 35,000 barrels. We are probably the only cooper not having a kiln, not having any artificial system to dry and to make the aging a little faster. That’s the most important. The result is you have a more consistent barrel. 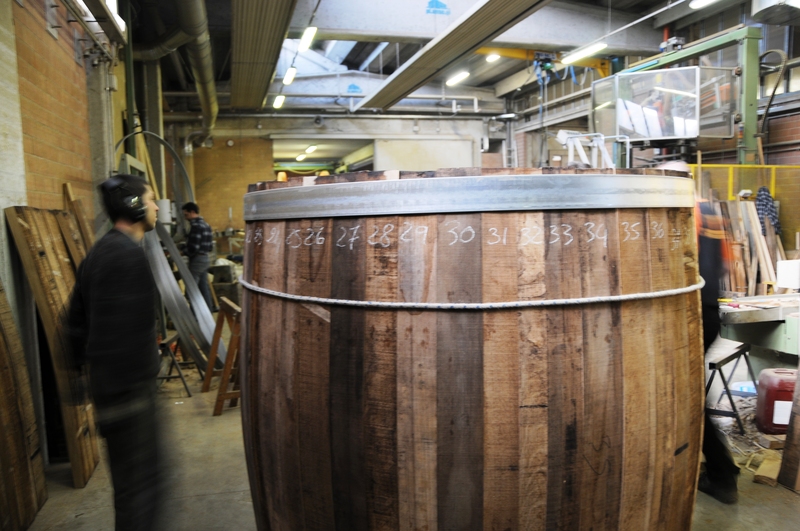 “A barrel is always a living material. It’s almost impossible to be exactly the same from one to another. 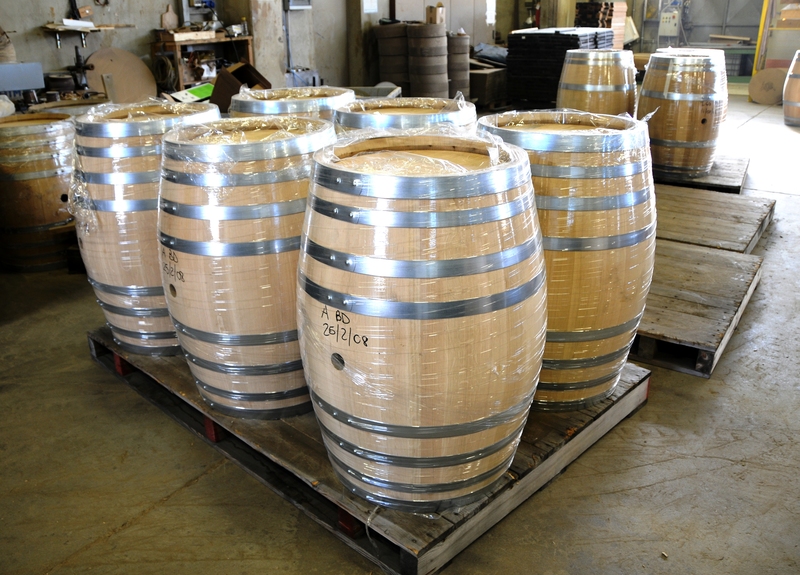 We are trying to make a more elegant barrel. “We say it’s our tradition. 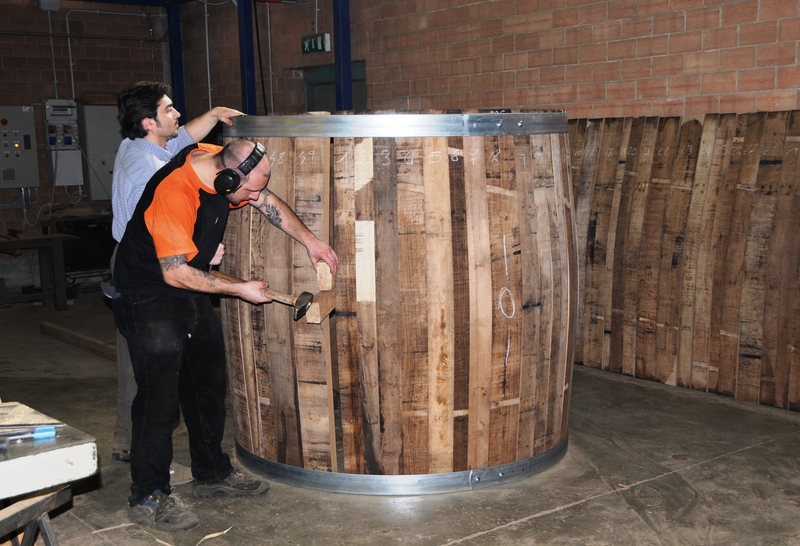 We have been making barrels and big casks for more than 200 years. The expertise and the customers we have are the best reference we have. We have always supplied some of the best wineries here in Italy. From that we have been able to go abroad, to go the U.S., and try to supply some of the best wineries there. In Australia, the same thing. He leads me downstairs to the factory. Men in jeans and sweaters wear ear plugs or headsets on the concrete floor. I hear the smack of hammering, the buzz of electric saws, and the whir of a forklift hoisting a massive Slavonian oak cask (Mauro points out that Slavonia is a region of Croatia, while Slovenia is a European country). The workmen respect that they manipulate an ancient natural product four times as old as most of them. Their goal is to produce a watertight, breathable vessel able to exchange oxygen and impart subtle flavors. 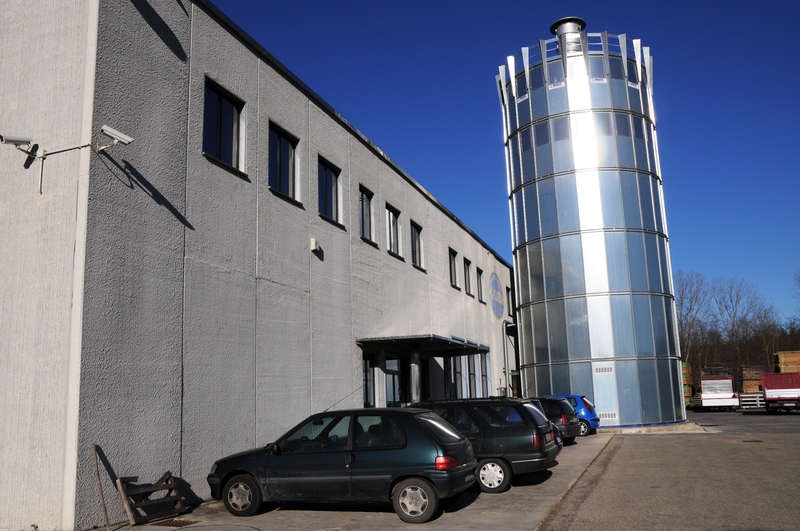 Demand for barrels is increasing, but Mauro and Eugenio do not want their factory to grow larger. It is not the right time. The day after we meet, Mauro is to drive to Florence, then to Rome. A few weeks earlier he flew to Napa in California. His life blends tradition with technology. Between travelling to board rooms, cellars, and expositions, he helps solve problems on the factory floor. He is a renaissance man in the land of the Renaissance, a perfectionist immersed in a world of ancient oak and craftsmanship, enjoying a life that allows him to pursue consistency and quality.